Cumulous congestus cloud rising over hill. Cumulous congestus are characteristic of unstable areas of the atmosphere which are undergoing convection. They are often characterized by flat bottoms, sharp outlines and great vertical development. 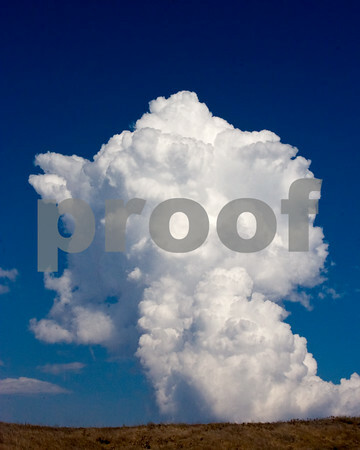 Because cumulus congestus is produced by strong updrafts, it is typically taller than it is wide and can grow to an altititude of 15,000 to 20,000 feet.